Safely moving passengers floor to floor in well designed and reliably installed lifts that have been delivered on time and budget has been key to maintaining and developing the longstanding and loyal customer relationships that we are proud to hold. 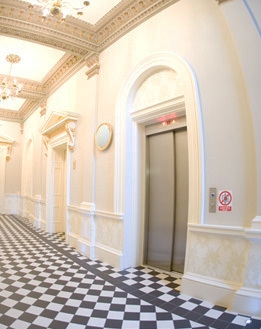 We offer and install bespoke, semi bespoke and model lifts for all types of low to medium rise buildings from a range of budget to premium equipment to ensure both financial and performance objectives are achieved for each installation we undertake. Our experienced Project Managers can help with choosing the best drive option for your building from a range of hydraulic or traction drive systems, including machine-room-less for either drive platform.